You know you always wanted the ‘Hoveboard’ when you watched ‘Back to the Future’ and despite being an 80’s movie, that technology has yet to make it today. However, your wait might not be as long as you might think (although you are probably in your 40s by now) as the OneWheel pretty much gives you a sneak peek into what it feels like. 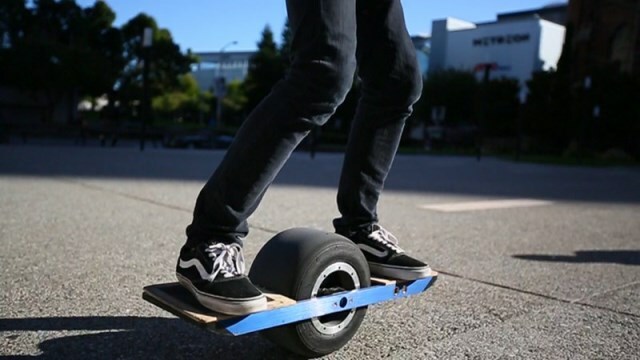 Known as the ‘Self-Balancing Electric Skateboard’, it uses only a single wheel and sensors to coordinate the balance when you are on it and then pushes the momentum in front. The wheel is located in the middle of the board and your feet can firmly be placed on both sides and then you can go on your way. Unlike many other electric skateboards that come before this, there is no need for the remote control or any high-tech activation process. All you need to do is to push your weight forward and it will move towards the front. To slow down, all you need to do is lean back though. It takes a while to get in control of this and once you get the hang of it, it can be quite a breeze. The current limitation is that you can only go up to 12miles per hour and get between 4 to 6 miles on a single charge. The manufacturers are offering a high-speed charger option. It might not make it to the gadgets to look out for this year but it surely is worth noticing. This might not be the Hoverboard yet but it is surely close enough.